It’s officially Spring and the Infor Lawson Community has a ton of events in store! Join Infor employees, certified business partners, vendors and hundreds of your colleagues from companies across the southwest for a two days of learning, sharing, networking and fun. We are excited to announce a new location this year for the Keystone Lawson Users Group! The Spring Meeting will be held on Tuesday, April 23rd at the Sheppard Pratt Conference Center in Towson, Maryland. 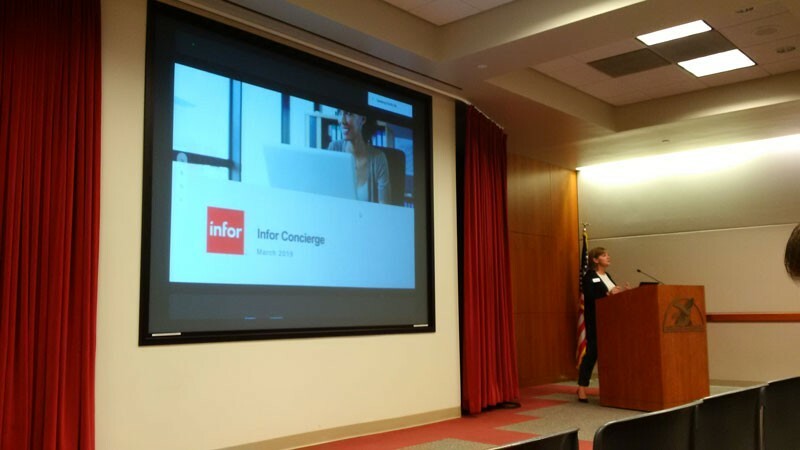 Join us for a day packed with presentations from some of the very best Infor partners in the Mid-Atlantic area, informative sessions directly from Infor as well as customer success stories from subject matter experts. This is going to be a great opportunity mix with your colleagues and friends for education, networking, and fun. 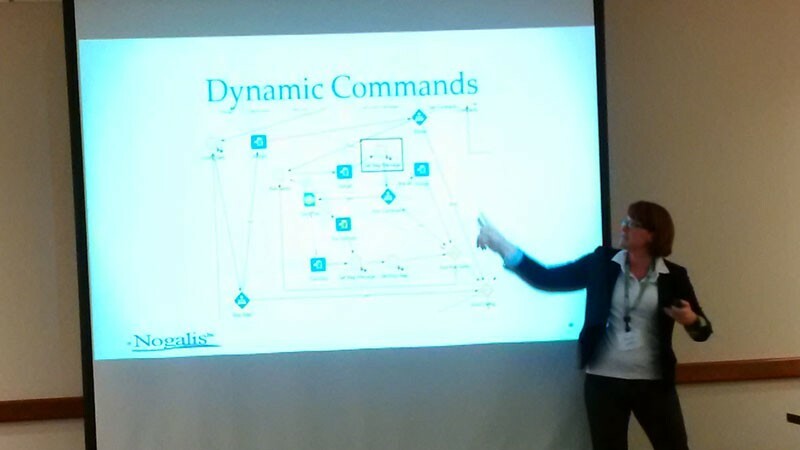 Our Partners for this event are RPI Consultants, Inc., AVAAP, Intellias and Kinsey! Giveaways and prize drawings throughout the day! DIRECTIONS to Sheppard Pratt Conference Center in Towson, Maryland. Make checks payable to Wellspan Health. The Keystone Lawson Users Group (KLUG) is an independent member-led group that provides a forum to collaborate with other Infor/Lawson users and subject matter experts. KLUG partners with Infor/Lawson as well as industry leaders in consulting and technology solutions to educate, inspire and implement solutions to common business problems. 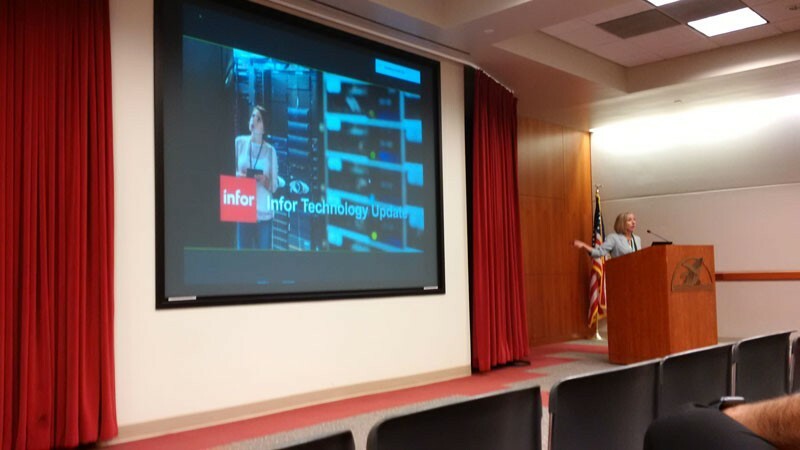 Meetings are held bi-annually and provide members with insight into hot and trending products, tools and technology related to the Infor/Lawson systems. 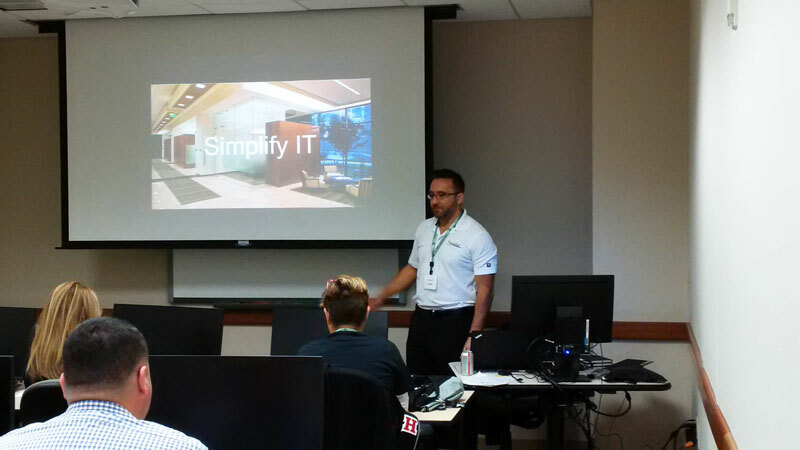 Infor TechEd is a 2.5-day hands-on training event where you can learn directly from Infor product experts and improve your technical knowledge. 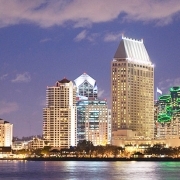 This immersive education conference offers a unique opportunity for moderate to advanced technical administrator and development users to optimize your company’s investment in Infor CloudSuite Financials & Supply Management, Lawson, HCM, and Cloverleaf. 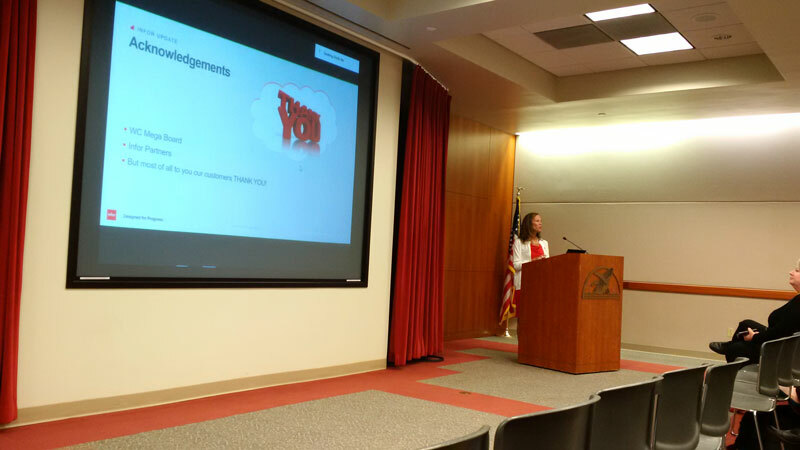 The Southern California, Arizona, Nevada Lawson User Group (SCANLUG) gathered together on Thursday March 21st and Friday March 22nd for their annual West Coast Mega Conference at the Pacific Life Center in Newport Beach, Ca. 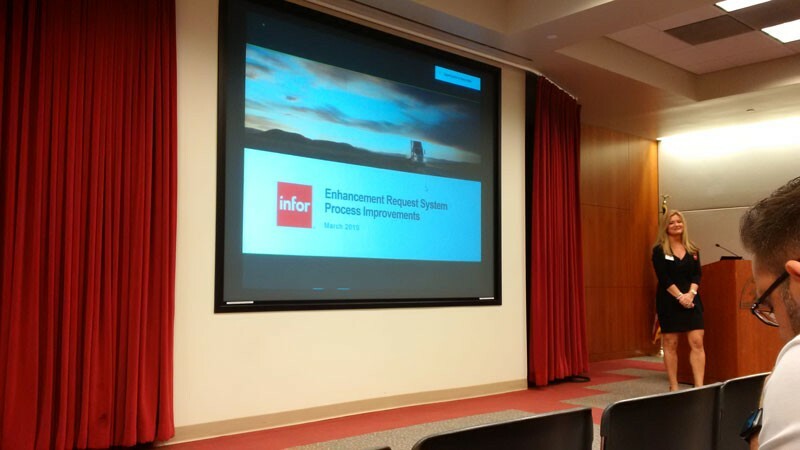 With about 100 guests and over a dozen vendors, the two-day event was jam-packed with 70 sessions to attend – covering topics from Infor Cloudsuite Financials to ADFS conversions. 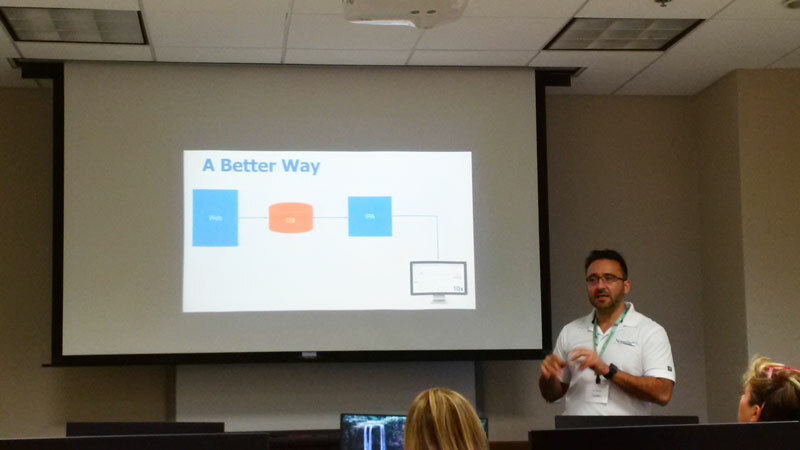 Nogalis hosted two sessions (Vendor On-Boarding Made Easy & Elevate your Interfaces with These Few Simple Ideas) with over a dozen attendees learning about the newest solutions we have to offer. 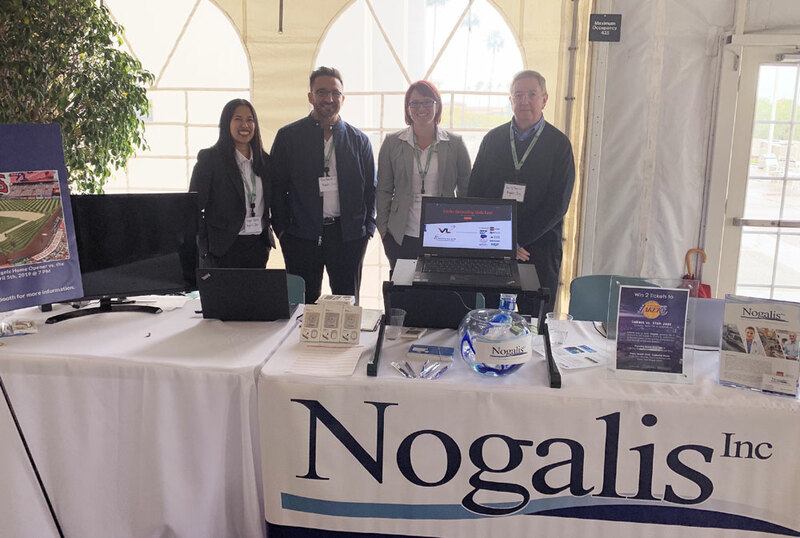 This year, Nogalis is rolling out a new solution for vendor management systems and the attendees of the WCMC were the first to view a demo of the vendor self-service portal. 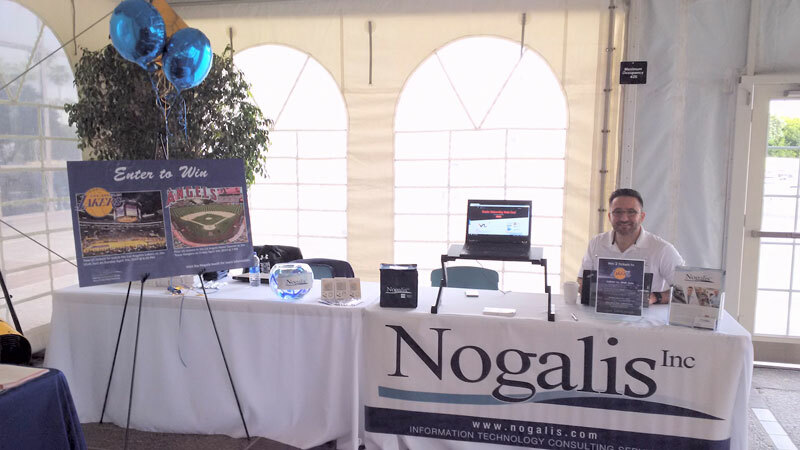 Of course, the Nogalis booth wouldn’t be complete without announcing some great giveaways. 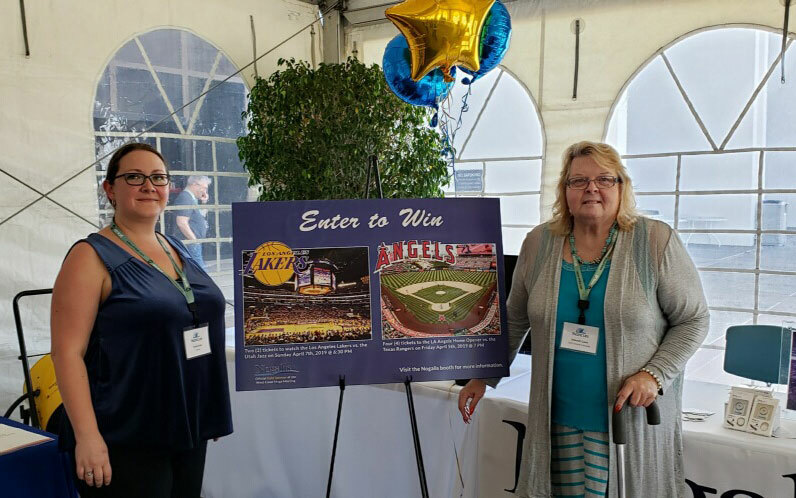 Those who attended either session were entered to win a pair of Los Angeles Lakers basketball tickets to the penultimate home game of their season at the Staples Center. 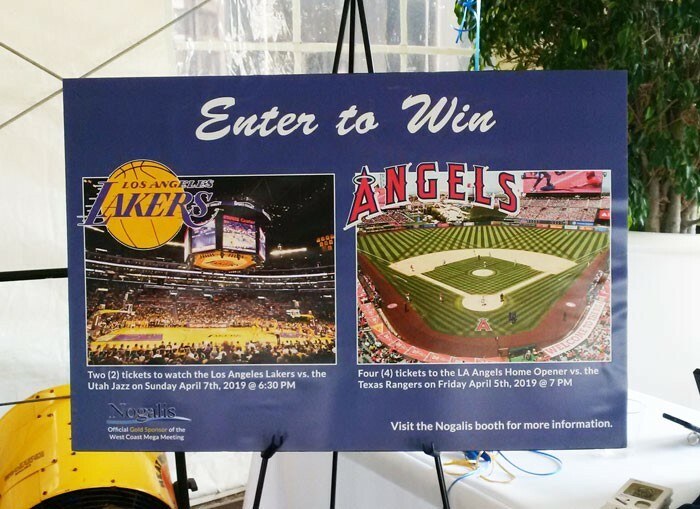 Additionally, those who visited the Nogalis Booth and viewed demos were entered to win four (4) tickets the Los Angeles Angels Home Opener game of the 2019 baseball season. 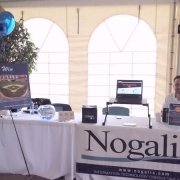 Nogalis brought back some oldies but goodies with promotional item giveaways such as lunch boxes, phone rings, and baseballs, as well as gave away soft leather notebooks and ballpoint pens. 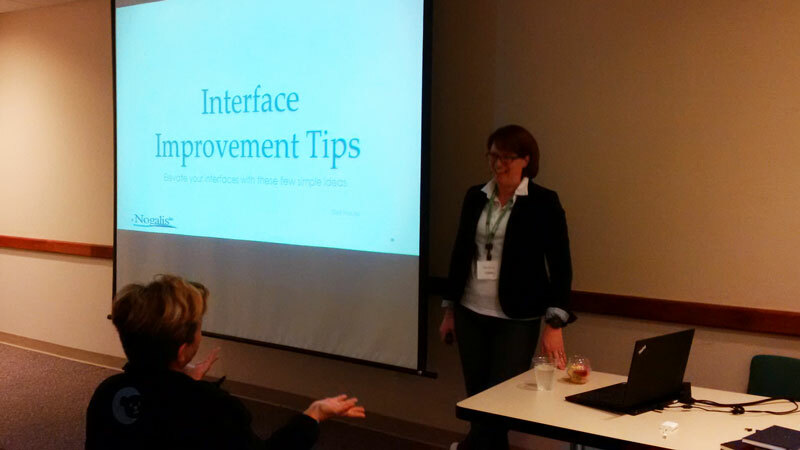 As gold sponsors again, Nogalis hosted the evening event on the 5th floor of the Pacific Life Center. The Santa Rosa Dining Hall and Reception Deck overlooked the beautiful sights of Newport Beach and gave attendees a feel of the sunny Southern California weather. Nogalis Team Representing as Gold Sponsors! Congratulations to our Raffle winners! Enjoy your games. Spring is coming and so are more Infor Lawson Community Events! The agenda has been finalized. Please be sure to check it out by clicking the “Agenda” tab in the top right of the page, just below the big banner, or Click Here. We have some GREAT sessions lined up for this meeting, so if you have not yet done so, please register to attend! Please review the map below. Do Not Park in the area marked “Do Not Park Here.” Plan to arrive early to avoid not having a parking space. You may need to park on the side of the street on Mission Ridge and walk up the hill to Dollar General’s offices. You will be asked to move your vehicle if park undesignated areas. $15.00 to attend that cover meals and can be paid by cash, check, or credit card the day of the meeting. Vendors – Please contact Kim Walker, Kim.Walker2@choa.org if your company is interested in sponsoring for this meeting. Join the Southern California, Arizona and Nevada Lawson User Group (SCANLUG) for a two-day mega meeting on March 21st and March 22nd, 2019 to discuss all things Lawson! 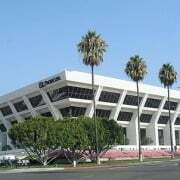 This mega meeting will be held at Pacific Life in Newport Beach! The meeting will be 8:30 AM to 4 PM, with breakfast at 8 AM. Lunch is provided. Follow the Carolinas Group for more updates. We look forward to seeing you there and please share this invite with your peers. 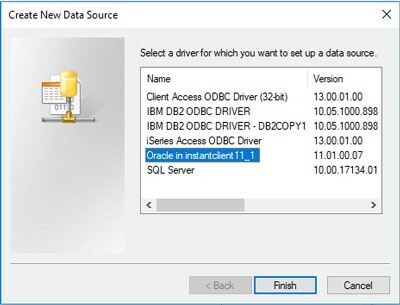 If your organization chooses not to move to ADFS at this time, you have two other temporary options. Kerberos is another authentication type provided by Windows, and also works with your Active Directory. This authentication type is supported in Infor Lawson 10. 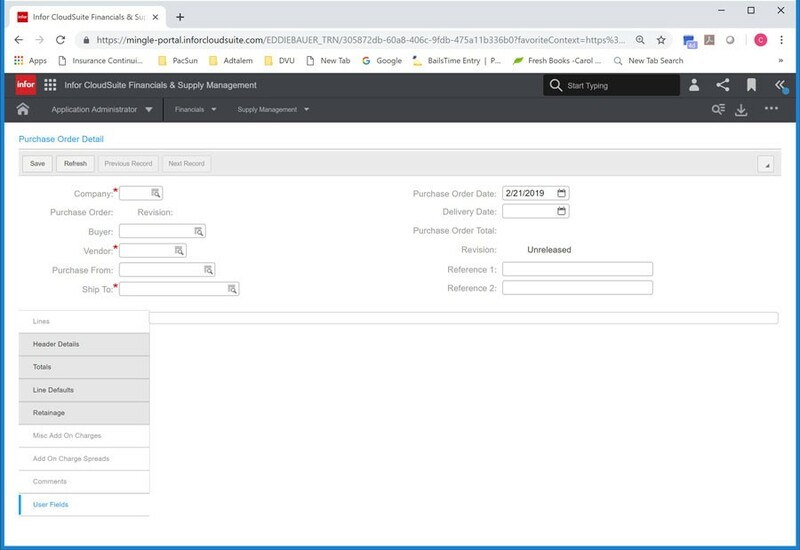 As of March 1, 2019, Infor will no longer be releasing Lawson patches that take LS/STS authentication method into account. This doesn’t mean your current versions of Lawson applications will stop working if you fail to move to ADFS at this time. It just means that you won’t be able to upgrade past a specific ESP for each product (10.0.9 for Lawson). When Infor sunsets the product versions that allow LS/STS, you will then be on an unsupported product version. It is looking like this will happen sometime early 2021. Have more questions? Contact us and setup a free, no obligation call with our installer to answer all your questions. 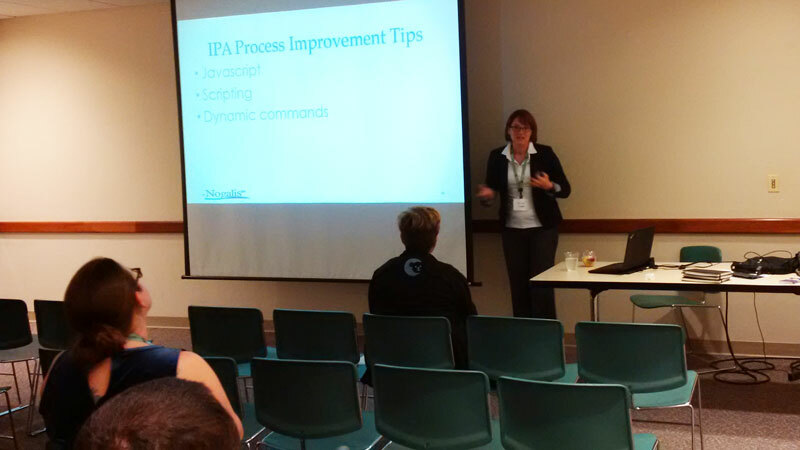 Here are some pro tips to help you prepare for your ADFS implementation. Before you begin your ADFS implementation, it is important that you verify component compatibility. Check the Lawson compatibility matrix for which version of ADFS is compatible with your versions of Lawson and Ming.le. You must also verify that the version of ADFS you are installing is compatible with your version of Active Directory. 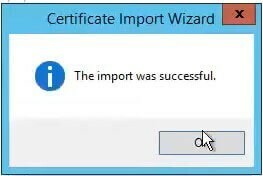 Additionally, you will need a minimum Windows Server version of 2012R2 on the server that is hosting ADFS and your domain controllers. 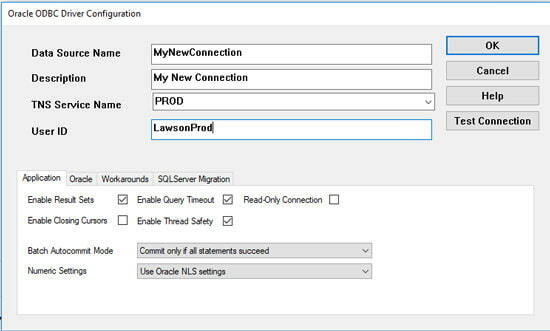 The ADFS installation for Infor Lawson applications also requires Infor Federation Services (IFS) to be installed on the same server. 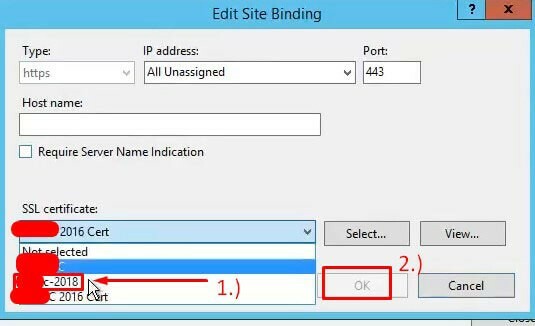 If you are not prepared to host IFS on a shared ADFS server, you will need to stand up a new Windows server dedicated to ADFS/IFS for Infor applications. ADFS is an authentication method, and user maintenance will change slightly. For instance, you will be able to disable users right in ADFS rather than having to do it in Lawson Security. Also, there will be a new identity to maintain in Lawson Security. 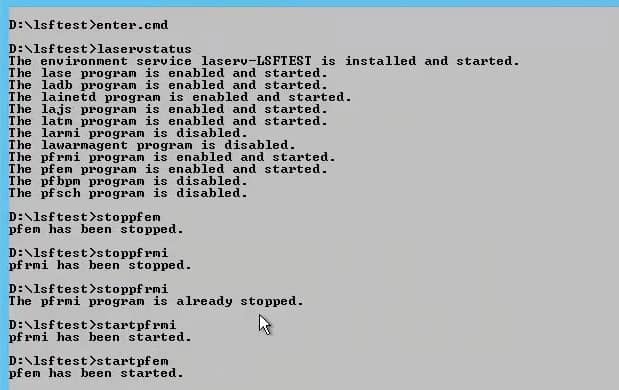 When you implement ADFS, you will need to import all your users into IFS. However, implementing ADFS will not change the user authorization tools. You will still use Lawson Security Administrator (LSA) or Infor Security Services (ISS) to maintain users and roles, and those roles will work the same. 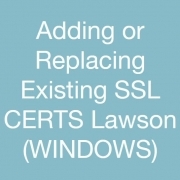 All of your Lawson web applications must use HTTPS to be able to implement ADFS. If your web applications are not currently using HTTPS, it is recommended that you make this change prior to implementing ADFS. 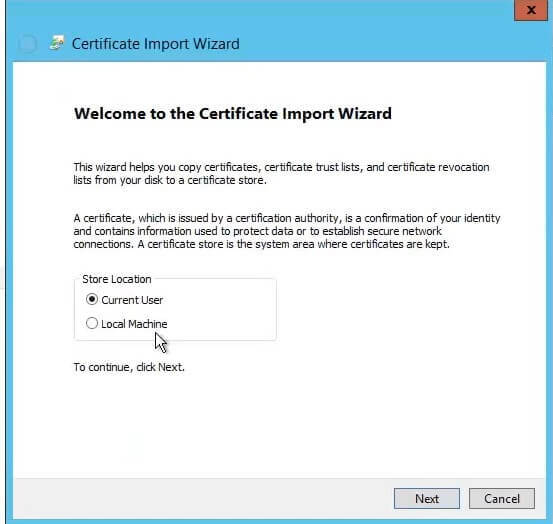 You will need to choose a certificate authority (CA) and install certificates at each endpoint. 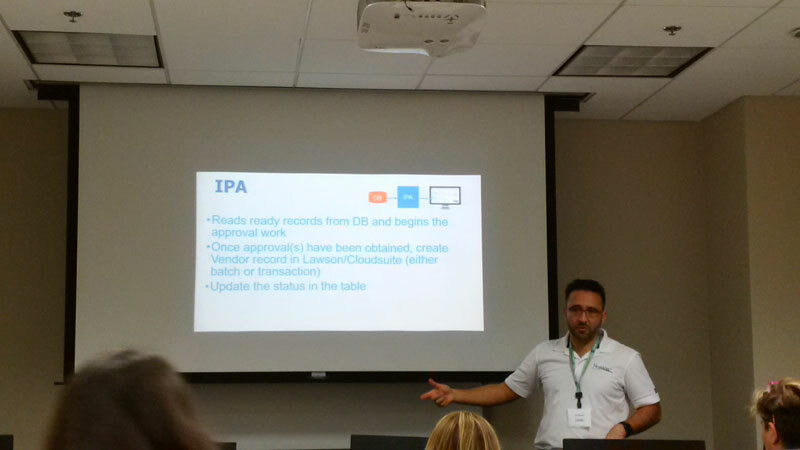 IFS will create new SQL Server databases, so you will need to have a SQL Server to host those. You can use a shared database server for this, such as your server that hosts Ming.le data or the server that hosts your Lawson data. Active Directory Federation Services is a Single Sign-On service provided by Microsoft. It runs on Windows Server, and provides users with the ability to sign on with one set of credentials across applications. How does ADFS work with Lawson? Why change our authentication method? 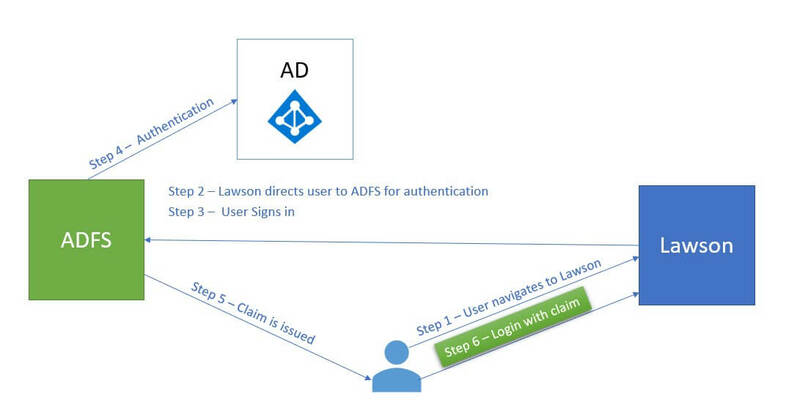 Although there will be some work up front to modify your configuration from LS/STS to ADFS, using ADFS for SSO authentication is actually beneficial to your organization. It is more secure because Infor applications will never have access to a user’s password. It is also a bit easier to maintain your Infor users in ADFS, in that you can enable/disable the users right within Windows instead of having to do it in Lawson Security. Additionally, implementing ADFS will open up other Microsoft security components, such as two-factor authentication. 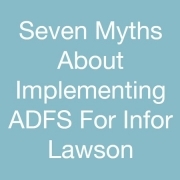 There are some common misconceptions revolving around the implementation of ADFS for your Infor Lawson application. Hopefully these explanations will help dispel the confusion. ADFS requires all of your Infor Lawson applications to use SSL (Secure Socket Layer). You will need to select a Certificate Authority (CA), and install certificates at each web endpoint. If your current Lawson web applications are not using SSL, you will need to convert them before you begin the ADFS installation/configuration. 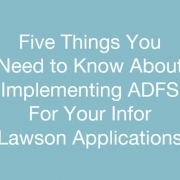 The ADFS implementation is limited to Lawson and does not need to be part of any other application in your organization. A Windows server will host ADFS solely for Lawson and can be segregated to just this specific use without affecting anything else within the organization. The look & feel of your Lawson web applications will remain the same, but the way users log in will change. LS/STS username format is currently “username”. When you switch to ADFS, users will log in with format “username@domain.com”. Also, keep in mind that if you have to update to a compatible ESP in any of your applications, there may be some slight changes in what the users see on the forms they use. Make sure this is done well in advance so the ESP can be tested thoroughly. As of March 1, 2019, Infor will no longer be releasing Lawson patches that take LS/STS authentication method into account. This doesn’t mean your current versions of Lawson applications will stop working if you fail to move to ADFS at this time. It just means that you won’t be able to upgrade past a specific ESP for each product (10.0.9 for Lawson). When Infor sunsets the product versions that allow LS/STS, you will then be on an unsupported product version. It is look like this will happen sometime early 2021. ADFS is an Authentication Method, while Lawson Security is an Authorization Method. So, you will continue to use Lawson Security Administrator (LSA) or Infor Security Services (ISS) to maintain users and roles. The ADFS authentication will not impact these roles at all. Infor Lawson products are actually the only products that allow LS/STS authentication method. So, you will not need to make any updates to your Landmark products, including IPA. Contact us when you are ready for your move to ADFS. Our expert installers at Nogalis can make the process simple and pain-free. Winter meetings are beginning the Lawson User Group communities to kick off 2019! There will be Special Interest Group (SIG) breakouts by functional area in the morning, then Technical, Human Capital Management, Enterprise Financial Management and Supply Chain Management breakout sessions in the afternoon. Plenty of great prizes to award at the conclusion of the meeting! Cap off your day by joining us for a networking reception following the meeting at HealthPartners. 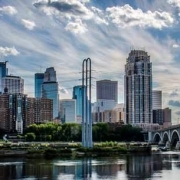 Please join us for a couple of hours of food and drink at JTs Food and Cocktails, located just 3 minutes from HealthPartners – across from the Mall of America (former location of RedRossa)! All beverages and appetizers are provided… this is a perfect opportunity to avoid rush hour and spend some time networking. Join your peers, vendors and Infor Lawson employees as we continue discussion on Infor Lawson in a relaxed, fun atmosphere. The “GoToMeeting” link will be sent to all registered members the day before the webinar. This is a free educational webinar to help you explore your community more and better understand the power you have to increase collaboration with your community peers. Your Digital Concourse community keeps you informed on what is happening in your independent Infor community and provides the tools to connect and collaborate with others like you. If you know of a user community that would like to have the ability to do the same, please contact us today.